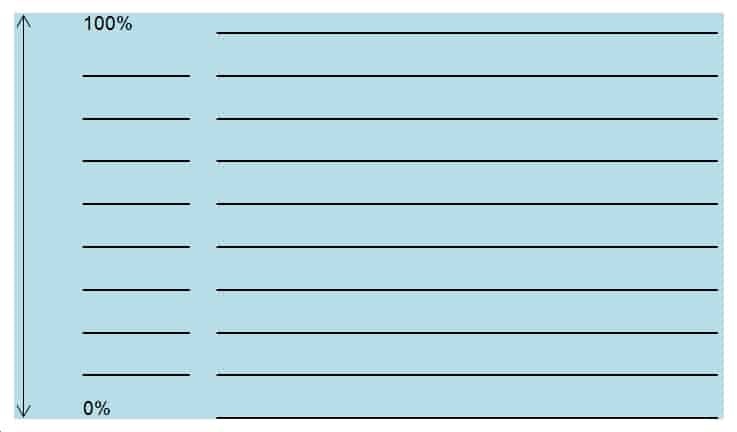 Learn about adverbs of frequency in English – like always, usually, sometimes, and never – then practice what you have learned with our collection of fun exercises! 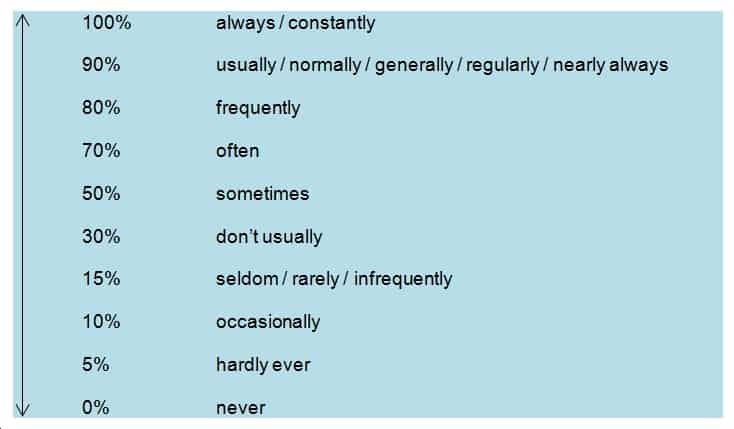 2.4.3 Adverbs of frequency usually occur in the middle of a sentence, rather than at either end. Like other adverbs, adverbs of frequency go before the main verb in a sentence, e.g. We usually go to my friend’s house for lunch on Sundays. Usually we go to my friend’s house for lunch on Sundays. If the main verb is BE, however, adverbs go after the main verb, e.g. He is often late for work. Lisa and Charles are always cheerful. I ______________ go to bed before 10pm. My friend ______________ comes to class on time. I ______________ drive to work. I ______________ cook dinner for my family. I ______________ do my homework on time. I ______________ travel by public transport. My teacher ______________ give me feedback on my pronunciation. I ______________ listen to the radio. I ______________ eat fresh fruit every day. Ex. I have never watched Pinocchio, because I don’t like animated films. ________________________________________________________ three times a year.